When you ask a business owner what business they’re in, they’ll typically respond by describing the products they create or the services they provide. While that might be true, there is one way to describe all businesses regardless of what they do and it’s called being in the customer service business. Customer service describes the experience that customers have when doing business with you. Now, hopefully that experience is one that is positive that leads them to have a great experience. Naturally, when you create a great experience the likelihood of a return visit, referrals and additional business are much higher. The internet today has forever altered the way our customers to interact with us. However, the rules by which we treat our customers online really shouldn’t differ from the way we treat them face to face. That being said, the speed and precision that we must leverage has changed and here is why. The reports of experiences that customers have with our businesses today are much more visible and much more public than they have ever been before. Picture this… You’re sitting a restaurant and suddenly you hear a voice erupt. When you turn around in your seat, you see the manager using his calmest tone of voice to calm the irate customer down. Before the shouting stops, you begin to experience the discomfort of the situation. You start to form opinion of the business, their quality and no doubt this influences the likelihood for you patronize the business in the future. In that physical place, witnessing that poor service experience is limited to you and the other customers in the vicinity, but online, the whole world is sitting in that restaurant and is allowed to make their own judgment. Online, those poor experiences and those outburst of complaints are visible for everyone to see, whether it be an online review site like Yelp or simply someone venting about a poor customer service experience on Facebook. The first rule of great social customer service is to respond in a timely manner to any complaint that you find online. Sounds obvious, right? But, what’s timely? Here’s the secret. Like “dog years”, there is such a thing as “internet time.” In internet time, 24 hours is the equivalent of 10 years! So you have to act fast before a public complaint grows a life of its own. When a situation arises, you might not know the situation, how it was caused or how to fix it, so at very least you need to express to the customer that they have been heard and then do your best to bring some type of resolution within 24 hours. This is because the expectation of a response on the internet is much shorter than the real world and the amount of visibility and influence that the public can have on the situation only grows with time. 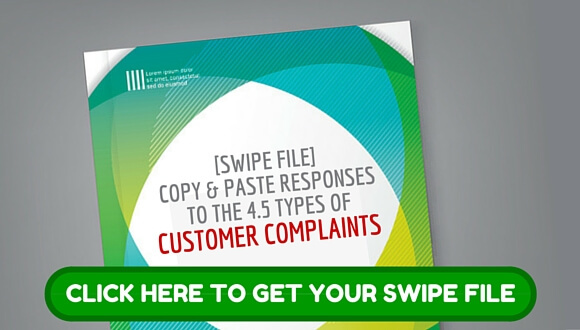 When a complaint comes in, you want to understand who has the problem, when it happened, and what happened. Based off of this information, you want to execute a plan that includes who in your organization is responsible for responding to these requests. Optionally, you may also include the dollar amount that someone is authorized to spend in order to resolve the issue. (ie. processing a refund, providing additional services or product.) 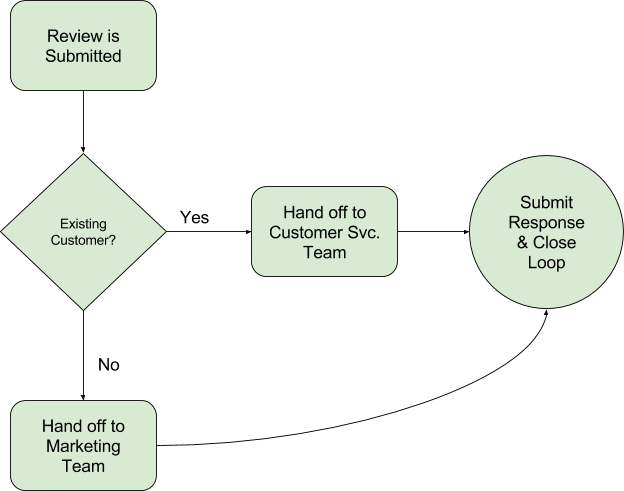 This is especially useful in allowing your team to issue a rapid response without having to get authority for the expenditure. Given what we’ve already covered about online complaints being visible and their impact growing with time, moving your conversation with your customer to a private discussion should be a high priority. When you allow a the conversation to continue on an online review site, you’re allowing everyone to see that conversation to take place. You don’t want to have a back and forth conversation in this public space. When you have a conversation on Facebook, for example, you are inviting other people to participate and takes sides. You don’t want the internet equivalent of people passing by to play a role the discussion. Don’t give them an opportunity to vote or weigh in. When you bring the customer to a private channel, it gives them a one on one opportunity to discuss the problem with you and lets them know that you’re taking it seriously. You want to suggest as soon as possible that you continue the conversation in another form. Maybe it’s a phone call, email, private messaging or even in person. There are literally thousands of places online where someone can talk about your business. While it’s not possible to monitor every place, there are some really common in very public places that you’re going to want to keep an eye on. There are plenty of tools that are available to make this easier many of which are free or a small investment. When people think about reviews, sites like Yelp, Google Plus, Trip Advisor or Angie’s List come to mind. What you need to understand is that conversations about your business can happen many more places than the ones designed to accept and publish a review. Facebook news feeds, twitter posts, online discussion forums and image sharing sites barely begins to scratch the surface as to the number of locations someone can talk about your business. 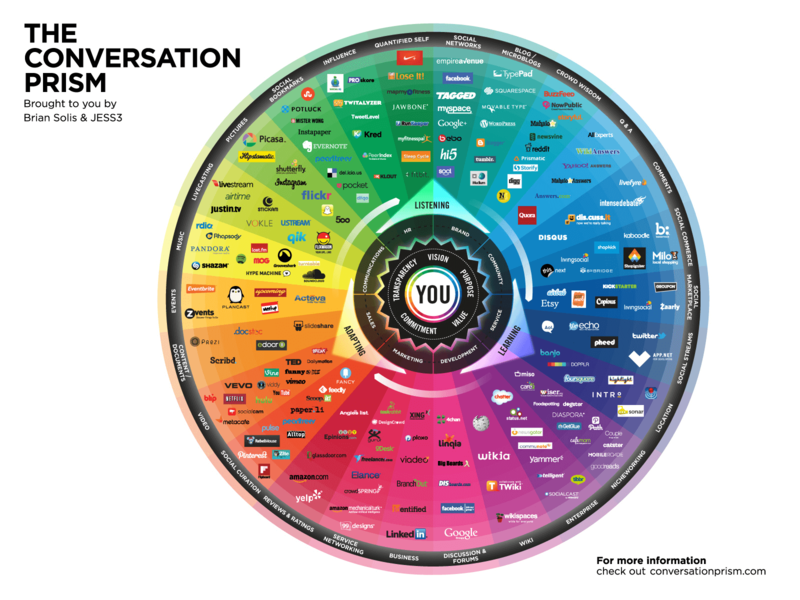 To get a better understanding of the magnitude simply look at the Conversation Prism which outlines a snapshot of this. It’s growing by the day. While you may not be able to catch every conversations. That’s why it’s important to leverage tools that allow you to search and monitor as many of the common locations for conversations about your business. Beyond mentions of your name, you need to be monitoring things like product names, store locations or even names of key company representatives. Below are a few tools to get you started. Google Alerts is a free service provided by Google which allows you to have search results sent to you by email when the Google discovers new appearances of specific keywords that you define. For example, if you were to ask Google Alerts to send you any examples of where they find your business name or maybe a partner or owner of the company, when they find those results, an email alert will be sent to you. Google Alerts can be tricky to setup and won’t always render the results you want. For example, if I were to setup a search for “Mike Schmidt”, I’d not only be sent information about a smart guy 😉 but I’d get a lot of mentions of Mike Schmidt the Hall Of Fame 3rd Baseman for Philly’s. Hootsuite provides a free account as well as paid accounts. In most instances the free account is sufficient for most businesses. Hootsuite’s specialty is allowing you to setup and monitor mentions of your business name or related keywords in Facebook, LinkedIn and Twitter. If there are product names or hashtags related to your business these searches are easy to setup. Mention is a paid tool that also does monitoring of social media sites. The real power of Mention is the ability to setup advanced searches to just get the alerts you want. You can setup a search to only notify you based on the calculated sentiment of the mention (ie. they said your company name and something negative.) And, in my case, I could only be notified if they found the name “Mike Schmidt” without any references of baseball. ReviewPush is a paid service that monitors approximately 35 different review sites. This covers many of the main review sites where people are likely to leave reviews online. Now it’s true that many of the review sites will email you when a new review has been listed. However, in order for that to happen, you must have an account on each of these sites. ReviewPush is a great option to monitor a large number of commonly used sites without having to have accounts for each one. If you’ve been in business for any period of time, you likely already have a sense of how to handle some of the toughest situations that can come up. But, what I see businesses fail at time and time again is having a solid defensive strategy against negative reviews. Simply, most businesses don’t have enough (or any) positive reviews, so when someone slams your business online with a one-star review, it sticks out like a sore thumb. So the one thing you absolutely must do next? Ask happy customers to share their experience online. They say the best defense is a good offense. If I’ve just whetted your appetite for more about how to get good and consistent reviews from your clients and customers, then you’re really going to want to bookmark this page and check back next month — I’ll be showing you exactly how Anchor Wave utilizes reputation management campaigns and some advanced tips and tricks. It’s guaranteed to be a good one. Mike Schmidt launched Anchor Wave Internet Solutions, LLC, in 2003 as a 22-year-old University of Arizona graduate with a vision: to become a leader in the website design industry. Since then, he has steadily built the business from a one-man business to a 20-person. Anchor Wave is a Tucson small business success story.